Prepared opening remarks for an internal discussion by members of Platypus on “Marxism and philosophy” to be held on August 11, 2018. * An audio recording of the event can be found at: <https://archive.org/details/180812PhilosophyAndMarxismAndPlatypus>. An audio recording of the internal discussion by members of Platypus on “Marxism and philosophy” can be found at: <https://archive.org/details/180812PhilosophyAndMarxismAndPlatypus>. RECENTLY, I CAME ACROSS a 1938 article by the “Left communist” Paul Mattick, Sr., titled “Karl Kautsky: From Marx to Hitler.” In it, Mattick asserted that the reformist social democracy that Kautsky ended up embracing was the harbinger of fascism — of Nazism. There is a certain affinity to Friedrich Hayek’s book on The Road to Serfdom (1944), in which a similar argument is made about the affinity of socialism and fascism. If Marxism (e.g. Kautsky) led to Hitler, as Hayek and Mattick aver, then this is because the counterrevolution was in the revolutionary tradition. The question we face today is whether and how the revolutionary tradition is still within the counterrevolution. For that is what we live under: it is the condition of any potential future for the revolutionary tradition whose memory we seek to preserve. 2018 marks two anniversaries: the 100th anniversary of the failed German Revolution of 1918; and the 50th anniversary of the climax of the New Left in 1968. Moishe Postone died this year, and his death marks the 50th anniversary of 1968 in a certain way. A strange fact of history is that both Thomas Jefferson and his fellow Founding Father but bitter political opponent, whose Presidency Jefferson unseated in his Democratic-Republican Revolution of 1800, John Adams, died on the precise 50th anniversary of the Declaration of Independence to the day, on July 4, 1826. John Adams’s dying words were “Jefferson still lives.” He was mistaken: Jefferson had died several hours earlier. But he was correct in another, more important sense: Jefferson had lived just long enough to see the survival of the American Revolution for its first half-century. Perhaps Moishe Postone lived just long enough to see the survival of the New Left 50 years later. If that is true, however, then he lived just long enough to see the survival of not the revolution but the counterrevolution. As I presented all the way back at our very first annual Platypus convention in 2009, in my contribution to The Platypus Synthesis, on “History, theory,” the Spartacists and Postone differ on the character of historical regression: Postone taking it to be the downward trend since the missed opportunity of the New Left in the 1960s; while the Spartacists account for regression since the high-point of the revolutionary crisis after WWI in which the October Revolution took place in 1917. But perhaps we can take the occasion this year to date more precisely the regression affecting both the Spartacists and Postone, the failure of the German Revolution of 1918, whose centennial we mark this year. The question of historical regression raises its potential opposite, that is, history as Hegel took it to be, the progress in (the consciousness of) freedom. What we face in 2018 is that the last 50 years and the last 100 years have not seen a progress in freedom, but perhaps a regression in our consciousness of its tasks, specifically regarding the problem of capitalism. Where the Spartacists and Postone have stood still, waiting for history to resume, either from 1918 or from 1968, we must reckon with not history at a standstill but rather as it has regressed. “A person must have the power and from time to time use it to break a past and to dissolve it, in order to be able to live. . . . People or ages serving life in this way, by judging and destroying a past, are always dangerous and in danger. . . . It is an attempt to give oneself, as it were, a past after the fact, out of which we may be descended in opposition to the one from which we are descended. . . .
“Here it is not righteousness which sits in the judgment seat or, even less, mercy which announces judgment, but life alone, that dark, driving, insatiable self-desiring force. . . . So the question we have always faced in Platypus is the borderline between freeing ourselves from the past or rather participating in its liquidation. Are we gaining or losing history as a resource? In losing its liability we might sacrifice history as an asset. We must refashion history for use in our present need, but we might end up — like everyone else — abusing it: it might end up oppressing rather than freeing us. Indiana Jones, who as we know was a Professor of Archaeology, in the 1989 film The Last Crusade, said that “Archaeology is about the search for fact, not the search for truth — for the search for truth, see Philosophy!” If Steven Spielberg and George Lucas can get it, then certainly we should! In our approach to history, then, we are engaged not with its “facts” but with the truth of history. 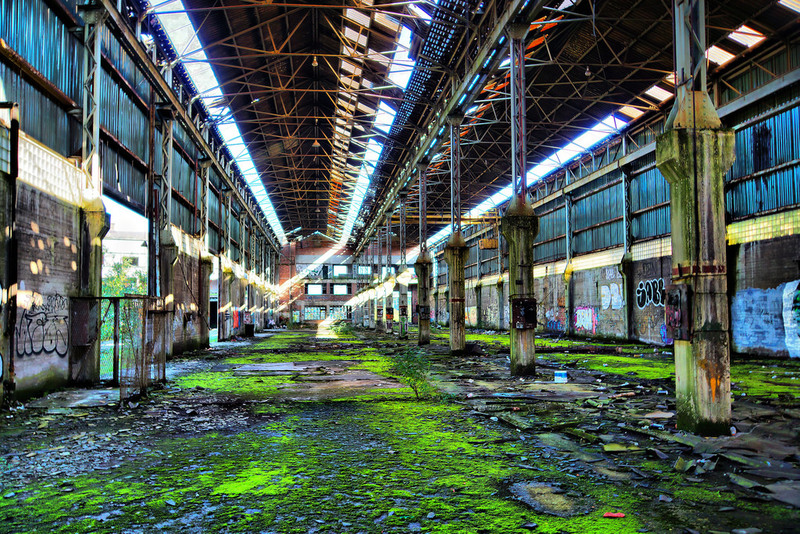 We are not archeologists: we are not antiquarians or historians — at least not affirmatively: we are not historicists. The events and figures of the past are not dead facts awaiting discovery but are living actions — past actions that continue to act upon the present, which we must relate to. We must take up the past actions that continue to affect us, and participate in the on-going transformation of that action. How we do so is extremely consequential: it affects not merely us, today, but will affect the future. History lives or dies — is vital or deadly — depending on our actions. We are here to consider how the actions of not only 50 years ago in 1968 but 100 years ago in 1918 affect us today. But to understand this, we must consider the past actions that people 100 years ago in turn were affected by. We must consider the deeper history that they inherited and sought to act upon. This year we must reckon with the changing fortunes over the last century, not of the revolution, but rather of the counterrevolution. If not the revolution but the counterrevolution has disappeared, perhaps this is because it has become invisible — naturalized. It is so much the fundamental condition of our time that we don’t even notice it. But that does not mean that it doesn’t continue to act upon us. It might be so powerful as to not even provoke resistance, like atmospheric pressure or gravity. The effort it takes to read history against the grain — Benjamin said it must be done with the leverage of a “barge-pole” — is in denaturalizing this history of the counterrevolution, to make it visible or noticeable at all. Can we feel it? This has changed over the course of the past century. In the first half-century, from 1918 to 1968, the naturalization of the counterrevolution took certain forms; in the last half-century, since 1968, it has taken other forms. We can say indeed that the action of the counterrevolution provoked more resistance in its first 50 years, from 1918–68, than it has in its second 50 years, from 1968 to the present. That would mean that 1968 marked the decisive victory of the counterrevolution — to the degree that this was not entirely settled already in 1918. As Richard [Rubin] pointed out at my presentation at this year’s 4th Platypus European Conference in London, on “The Death of the Millennial Left,” there has been nothing new produced, really, in the last 50 years. I agreed, and said that whatever had been new and different in the preceding 50 years, from 1918 to 1968 — Heidegger’s philosophy, for example — was produced by the counterrevolution’s active burial of Marxism. Max Weber had remarked to Georg Lukács in 1918 that what the Bolsheviks had done in Russia in the October Revolution and its aftermath would mitigate against socialism for at least 100 years. He seems to have been proven right. But since 1968, such active efforts against the memory of Marxism have been less necessary. So we have had, not so much anti-Marxism, as the naturalization of it. Ever since 1968, everyone is already a “Marxist” — as Foucault himself said — precisely because everyone is already an anti-Marxist. This is how things appear especially this year, in 2018. And necessarily so. The failure of the 1918 German Revolution was not only that, but was the failure of Marxism as a world-historical movement. As Rosa Luxemburg posed the matter, the failure of revolution in Germany was the failure of revolution in Russia. 1918 and 1917 are inextricably linked. But the failure of 1918 has been hidden behind the apparent success of 1917. The failure of 1917 wears the deceptive mask of success because of the forgetting of the failure of 1918. Marxism failed. This is why it continues to fail today. Marxism has forgotten its own failure. Because Marxism sought to take up the prior — bourgeois — revolutionary tradition, its failure affected the revolutionary tradition as a whole. The victory of the counterrevolution in 1918 was the victory of counterrevolution for all time. What do we mean by the “counterrevolution”? Stalin declared the policy — the strategy — of “socialism in one country” in 1924. What did it mean? What was it predicated upon? The events in Germany in 1923 seemed to have brought a definitive end to the post-WWI revolutionary crisis there. Stalin concluded therefore that Russia would not be saved by revolution in Germany — and even less likely by revolution elsewhere — but needed in the meantime to pursue socialism independently of prospects for world revolution. Stalin cited precedent from Lenin for this approach, and he attracted a great deal of support from the Communist Party for this policy. This blackmail of the necessity to “defend the gains of the revolution” is crucial to understanding how the counterrevolution triumphed within the revolution — how Bolshevism led to Stalinism. Sound familiar? It is a voice very much for our time! Here, Sontag explicitly rejects the revolution — “parliamentary government,” the “emancipation of women,” and “Marx” included — because of its “eradication of autonomous civilizations wherever it spreads,” and as “what this particular civilization has wrought upon the world.” Let’s accept this characterization of “Western white civilization” by Sontag, but try to grasp it through the revolution. For this is what revolution does: eradicate the prior form of civilization. What is America the “culmination” of, exactly? Let’s look to its Founding Father, Thomas Jefferson, and think about the American Revolutionary leader alongside the protagonist of the 1918 German Revolution, Rosa Luxemburg. I will start with the concluding scene of the 1995 film Jefferson in Paris. Here, Jefferson negotiates a contractual agreement with his slave James Hemings for the freedom of himself and Sally Hemings and her children — Jefferson’s own offspring. It is observed by his white daughter. This scene encapsulates the revolution: the transition from slavery to social contract. 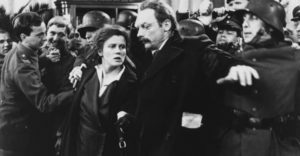 In the 1986 film Rosa Luxemburg, Sonja Liebknecht says to Luxemburg in prison that, “Sometimes I think that the war will go on forever” — as it has indeed gone on forever, since we are still fighting over the political geography and territorial results of WWI, for instance in the Middle East — and, responding to Luxemburg’s optimism, about the mole burrowing through a seemingly solid reality that will soon be past and forgotten, “But it could be us who will soon disappear without a trace.” In the penultimate scene of the film, Karl Liebknecht reads the last lines of his final article, “Despite Everything,” and Luxemburg reads her last written words, “I was, I am, I shall be!” — referring however to “the revolution,” not Marxism! Luxemburg’s “I was, I am, I shall be!” and Liebknecht’s “Despite everything!” — are they still true? Is the revolution still on-going, despite everything? If not Luxemburg’s, then at least Jefferson’s revolution? But aren’t Thomas Jefferson and Rosa Luxemburg on “opposing sides” of the “class divide” — wasn’t Luxemburg’s Spartakusbund [“Spartacus League”] on the side of the slaves (named after a Roman slave who revolted); whereas, by contrast, Jefferson was on the side of the slave-owners? No! That all men are created free and equal. . . .
How will we reconsider it for our age? Apparently, we won’t: Jefferson’s statues will be torn down instead. We will take the “easy way” and “decide” that Jefferson’s revolutionary character “simply isn’t true.” This has long since been decided against Luxemburg’s Marxism, too — indeed, as a precondition for the judgment against Jefferson. As Max Horkheimer said, “As long as it is not victorious, the revolution is no good.” The failure of revolution in 1918 was its failure for all time. We are told nowadays that the American Revolution never happened: it was at most a “slaveholder’s revolt.” But it certainly did not mark a change in “Western white civilization.” Neither, of course, did Marxism. Susan Sontag tells us so! Platypus began in 2006 and was founded as an organization in 2007, but we began our conventions in 2009. In 2018, our 10th convention requires a look back and a look ahead; last year marked the centenary of 1917; this year marks 1918, hence, this specific occasion for reflecting on history from Platypus’s point of view. What did we already know in 2006–08 that finds purchase especially now, in 2018? The persistence of the counterrevolution. Hence, our special emphasis on the failure of the 1918 German Revolution as opposed to the “success” of the 1917 Russian Revolution, which has been the case throughout the history of our primary Marxist reading group pedagogy. But we should reflect upon it again today. In my 2012 convention President’s report, “1873–1973: The century of Marxism,” I asserted that the first 50 years saw growth and development of Marxism, as opposed to the second 50 years, which saw the steady destruction of the memory of Marxism. So today, in regarding 1918–2018 as the century of counterrevolution, I ask that its first 50 years, prior to 1968, be considered as the active counterrevolution of anti-Marxism, as opposed to the second 50 years, after 1968, as the naturalization of the counterrevolution, such that active anti-Marxism is no longer necessary. With Kennedy, the counterrevolution, in order to be successful, still needed to claim to be the revolution: the counterrevolution still struggled with the revolution. By the end of the 1960s — at the other end of the New Left — however, this was no longer the case. We can observe today that what was lacking both in 1918 and in 1968 was a political force adequate to the task of the struggle for socialism. The problem of political party links both dates. 1968 failed to overcome the mid-20th century liquidation of Marxism in Stalinism and related phenomena, in the same way that 1918 had failed to overcome the capitulation of the SPD and greater Second International in WWI, and thus failed to overcome the crisis of Marxism. “History, theory,” available online at: <https://platypus1917.org/2009/06/14/the-platypus-synthesis-history-theory/>. Platypus Review 99 (September 2017), available online at: <https://platypus1917.org/2017/08/29/1917-2017/>. Walter Benjamin, “Paralipomena to ‘On the Concept of History’” (1940), Selected Writings vol. 4 1938–40, Howard Eiland and Michael William Jennings, eds. (Cambridge: Harvard University Press, 2003), 407. “50 years of 1968,” Platypus Review 105 (April 2018), available online at: <https://platypus1917.org/2018/04/01/50-years-of-1968/>. Sontag, “What’s happening in America?,” Partisan Review 34.1 (1967), 57–58. Karl Liebknecht, “Despite everything” (1919), in John Riddel, ed., The Communist International in Lenin’s Time: The German Revolution and the Debate on Soviet Power: Documents 1918–19: Preparing for the Founding Conference (New York: Pathfinder, 1986), 269–271; Rosa Luxemburg, “Order prevails in Berlin” (1919), available online at: <https://www.marxists.org/archive/luxemburg/1919/01/14.htm>. In North of Boston, available on-line at: <http://www.bartleby.com/118/7.html>. Horkheimer, “A discussion about revolution,” in Dawn & Decline: Notes 1926–31 and 1950–69 (New York: Seabury, 1978), 39. Available online at: <https://platypus1917.org/wp-content/uploads/readings/horkheimer_dawnex.pdf>. Platypus Review 47 (June 2012), available online at: <https://platypus1917.org/2012/06/07/1873-1973-the-century-of-marxism/>. Platypus Review 69 (September 2014), available online at: <https://platypus1917.org/2014/09/05/revolutionary-politics-thought-2/>.